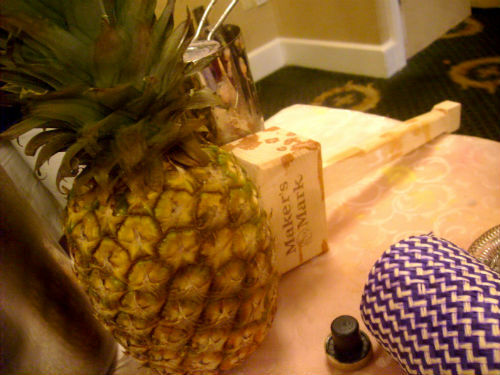 At this years Tales of the Cocktail in New Orleans I went to the mezcal tasting on the sunday. There was a new product there from Del Maguey to try which is their latest addition of single village mezcals, – the Vida. Vida is primarily made for mixing, but it sips well and was made to be more affordable yet still made with premium handcrafted spirits and is produced without any chemicals or colorings and is distilled twice. Its made together with Paciano Cruz Nolasco who produces one of my favorites in the Del Maguey range, the San Luis del Rio, which – you also can find in the Crema which is the one I like the most. Vida is produced exactly like it has been since 400 years according to the local tradition using small-batch distillation with only the agave heart and water in the mezcal, nothing else. 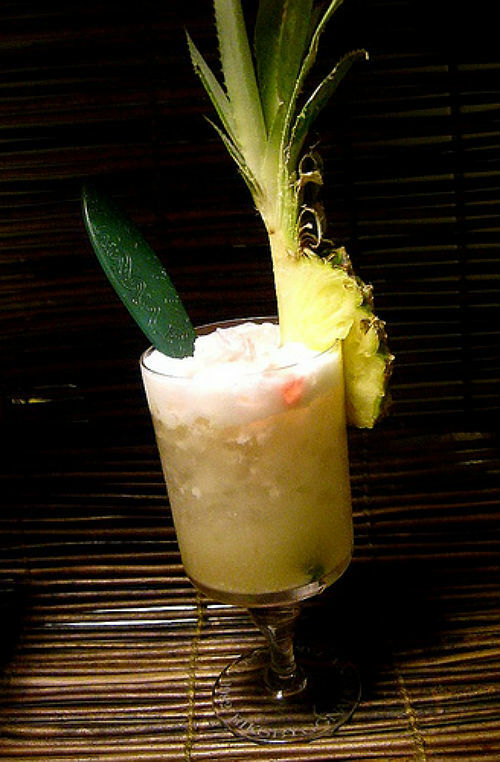 You`ll find all kinda flavors in this – honey and fruit, vanilla and roast agave…its smoky and spicy, sweet and sour. OK, I think its time to mix something up..
And with these two drinks i`m trying to capture the summer and make it stay for just a little more…ignoring the cold temps outside…with that gentle little touch of smoke that you get from good mezcals. Add ingredients to a glass full of crushed ice. 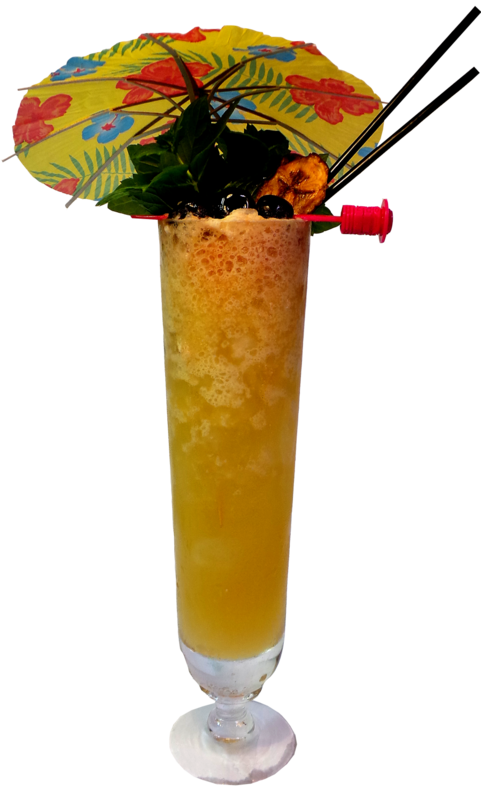 Swizzle until the glass frost on the outside and garnish with a lime rose. 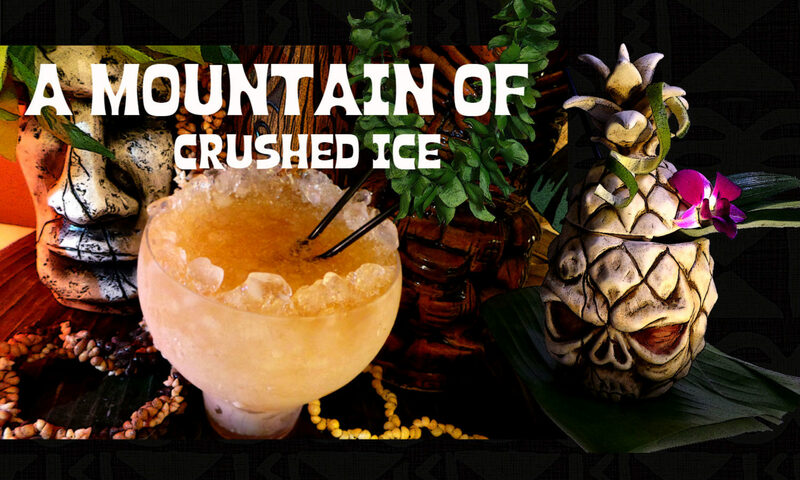 Shake all ingredients except Ting with ice and strain into a glass with crushed ice. Top up with Ting and garnish with a spiraled lime. 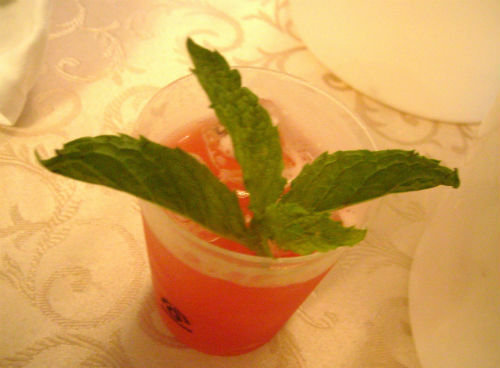 If you can`t find Ting, use another grapefruit soda or use fresh grapefruit juice. Stick bamboo skewer through the lime from top to bottom. Then cut around the lime in a spiraled manner from top to the bottom and all the way in to the stick. Take out the skewer and carefully stretch out the spiraled lime a bit before placing it in the glass. You can read more about Del Maguey mezcal here. I have written about mezcal before but i feel its time again, its such a nice and interesting spirit. The first time I tasted mezcal i knew it would have a smoky taste almost like a scotch, I also knew it was made form the agave plant – maguey and that it differs from how tequila is made in that the hearts of the agave plants are roasted in a underground owen and it´s that which gives the mezcal its smoky flavour. I wasn´t prepared though for the whole array of complex delisciousness that smooth like silk found its way to every part of my palate. The whole process in making mezcal is very old, about 400 years and every step is time consuming as its made by hand and mezcal is a real slow-food product – this is how flavour is made. Its every step in the process from harvesting the heavy agave plants to roasting, fermenting and distilling. There are many factors that affects the the final product – altitude, water, air-microbes and finally the most important thing – time – that creates these amazing flavours – and the hand of the maker who adds their personal touch to their mezcal. 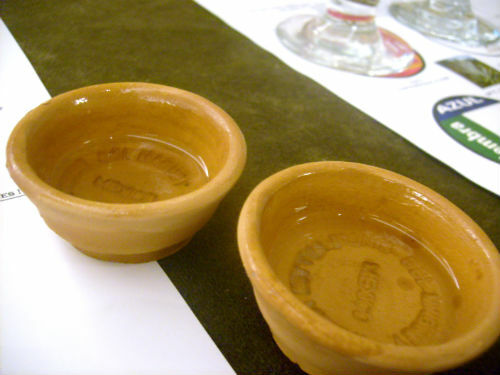 An experienced mezcal taster can by the flavour of a mezcal tell in which single village it was made and by whom. Mezcal (mes-kal) generally refers to all agave-based distilled liquors that are not tequila.Tequila is made only from the blue agave plant.Mezcals are made from 100% agave while tequilas must be produced from a minimum of 51% agave and there are several different varietes of agave used each producing a different flavor of mezcal. Espadín agave is used in the making of about 90% of the mezcal. The word mezcal means “cooked maguey” and the word maguey is synonymous with agave which contrary to many beliefs isn´t a cactus but a relative to the Lily and Amaryllis. 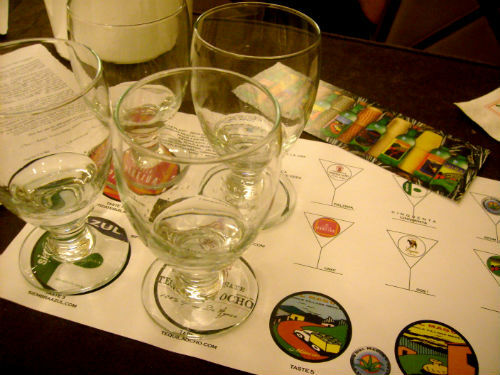 There are several types of mezcal, and there is a broad range of quality in terms of smoothness, flavor nuances and smokiness. I have tried both good and bad mezcals and of those i`ve had the pleasure to enjoy I would recommend Del Maguey and Ilegal, their products are smooth and very tasty. Ilegal makes outstanding small batch handcrafted mezcal and Del Maguey makes equally outstanding mezcals from different tiny remote villages in the state of Oaxaca, Mexico. Each Del Maguey mezcal carries the name of the village where its produced. 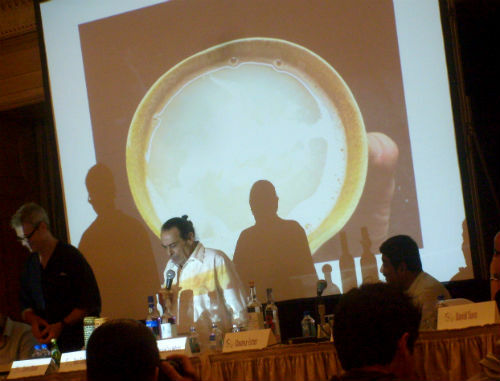 What makes mezcal so special is that is so unique.There´s no other spirit that tastes anything like it and its also very regional. A well made mezcal doesn´t have a straight forward or offensive smokiness – rather its a light smokiness that lingers in the background and gently makes itself known backed up by a very complex orchestra of distinct earthy-spicy fruity and herbal flavours. 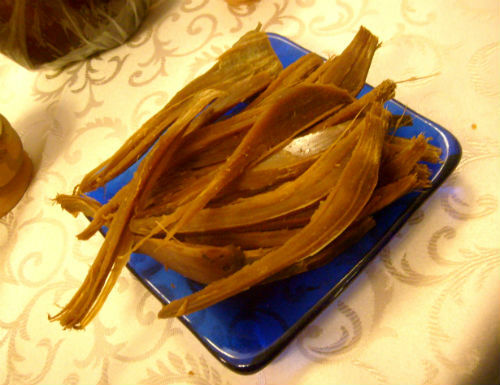 Its traditionally enjoyed neat but it also mixes very well – especially in fresh fruit and spicy drinks. Mezcal has been suffering from the myth of the worm for a long time, but in the top shelf brands i`ve tried there´s no need for any worm in the bottle and you`ll not find any. Rim the glass, then add everything except grenadine to a shaker and shake over ice, strain and pour into tumbler filled with fresh crushed ice and a few lime quarters. Add a splash of grenadine. Shake and strain into a tumbler with crushed ice. Garnish with lime and mint. Oh how the Mozart Dry makes this one taste special! 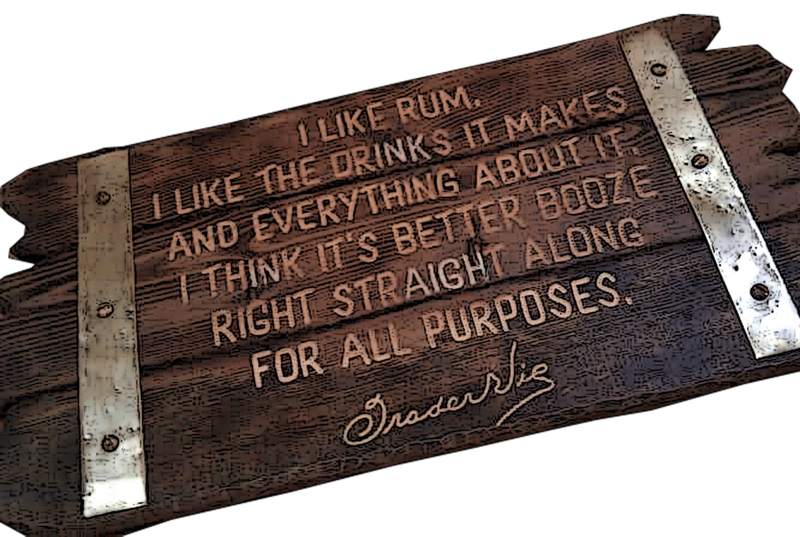 Its the taste of pure cocoa without being cloingly sweet and it pairs really well with the mezcal. Shake and strain into a tumbler with crushed ice. For garnish i used a pineapple spear, zest of limequat and brandied cherry. Btw did i mention that mezcal cocktails and spicy deep fried shrimps is a perfect match? 0.25 oz orgeat, homemade too – by Trader Tiki! Gently muddle the chili pepper with lime juice and orgeat and then add everything else except grenadine to a shaker and shake over ice, strain and pour into a tumbler filled with fresh crushed ice. 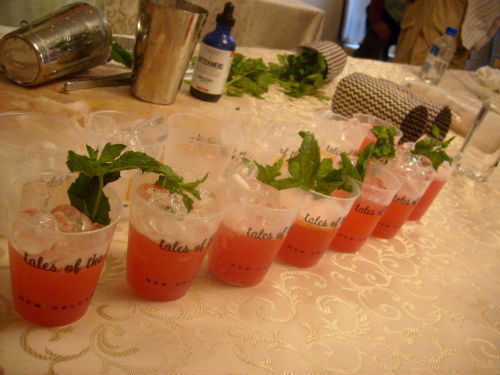 Add grenadine and garnish with pieces of red chili pepper on top of the crushed ice and fresh mint.